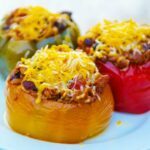 These slow cooker stuffed peppers literally come together in just minutes, including the time it takes to brown the vegetarian crumbles! 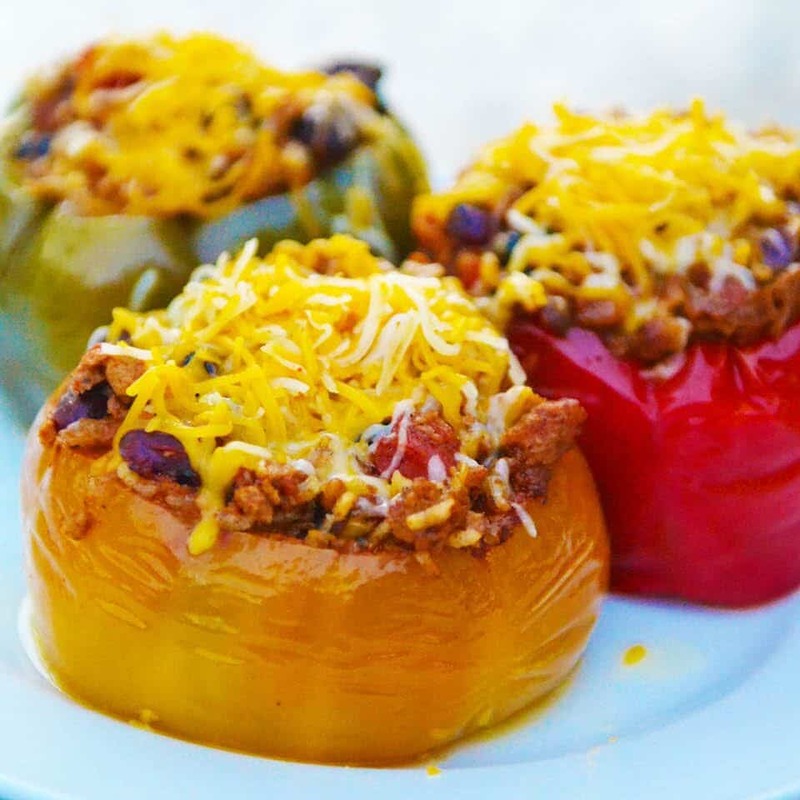 (For a meaty version, use ground beef instead of vegetarian crumbles.) 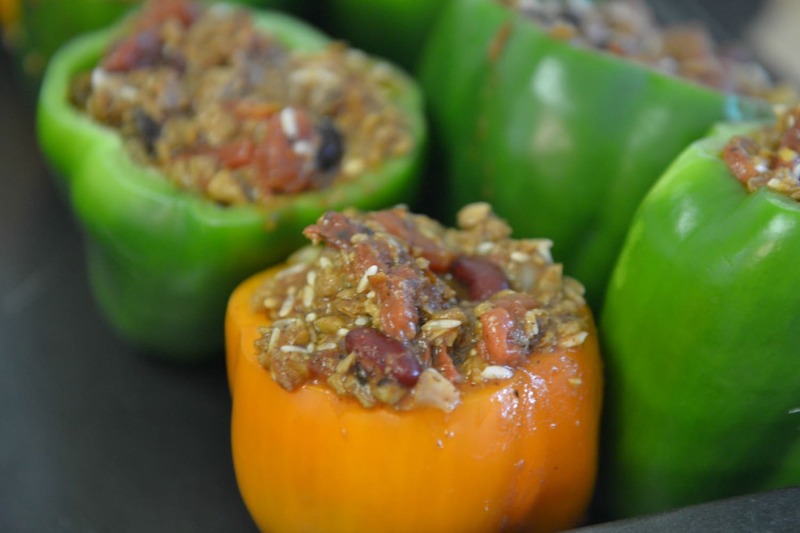 I love them because they are not only packed with flavor, but low-carb and vegetarian friendly too! Step 1: Melt butter and brown vegetarian crumbles (or ground beef); drain beef if necessary and set aside. Step 2: Finely chop onion and set aside. Wash peppers then cut and discard tops from peppers; remove seeds and set aside. Step 3: Drain kidney & black beans, set aside. 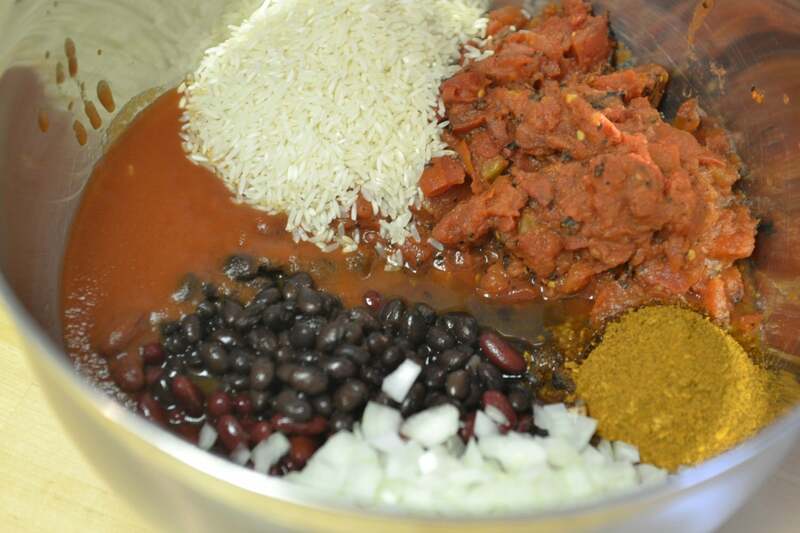 Step 4: In large bowl, mix together beans, fire roasted tomatoes, tomato sauce, taco seasoning,onion, water, and rice. 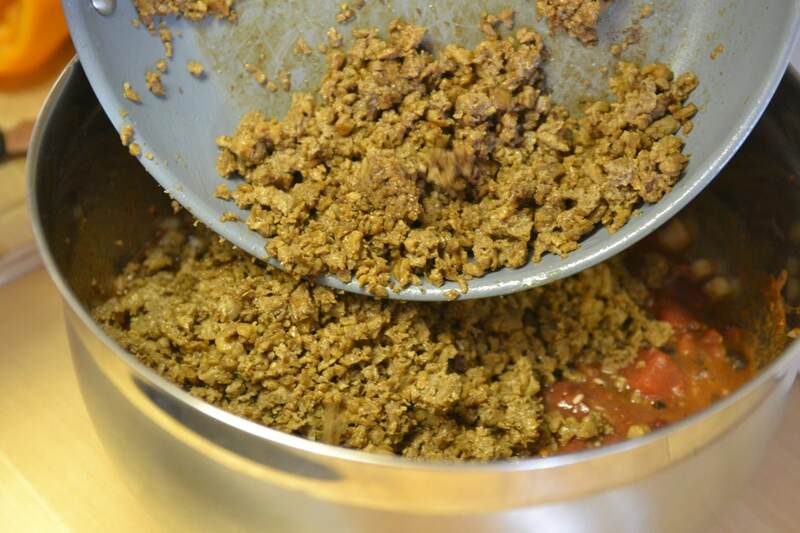 Step 5: Stir in vegetarian crumbles (or ground beef). Step 6: Spoon mixture into peppers and divide into 2 freezer bags (Be sure to label bags first). Freeze until needed. This recipe comes together so easy and is perfect answer for those busy weeknight meals. Melt butter and brown vegetarian crumbles (or ground beef) ; drain beef if necessary and set aside. Finely chop onion and set aside. 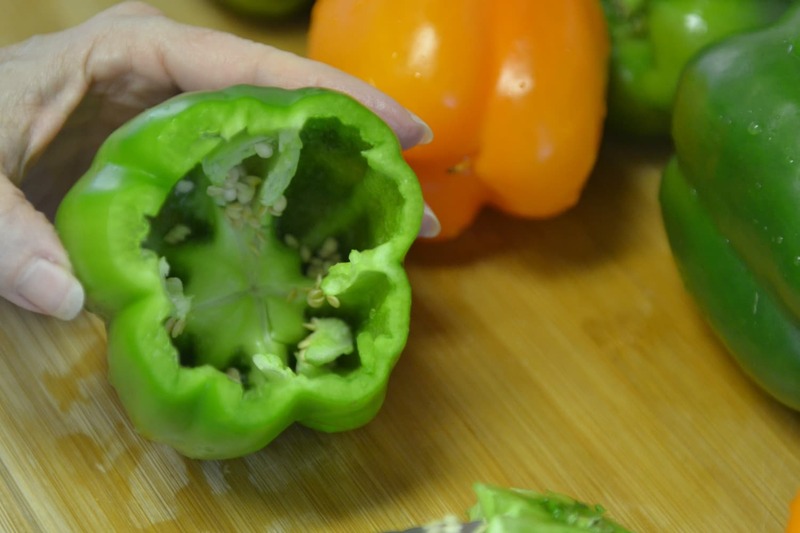 Wash peppers then cut and discard tops from peppers; remove seeds and set aside. 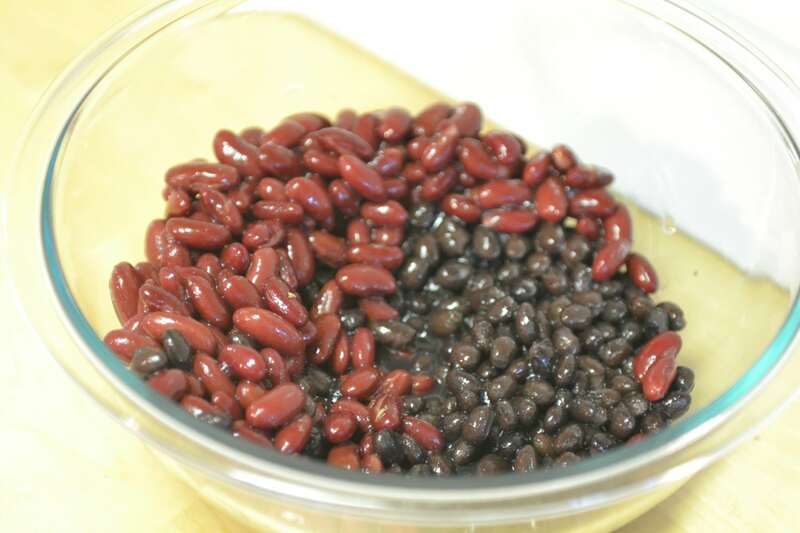 Drain kidney & black beans, set aside. In large bowl, mix together beans, fire roasted tomatoes, tomato sauce, chili seasoning, onion, water and rice. 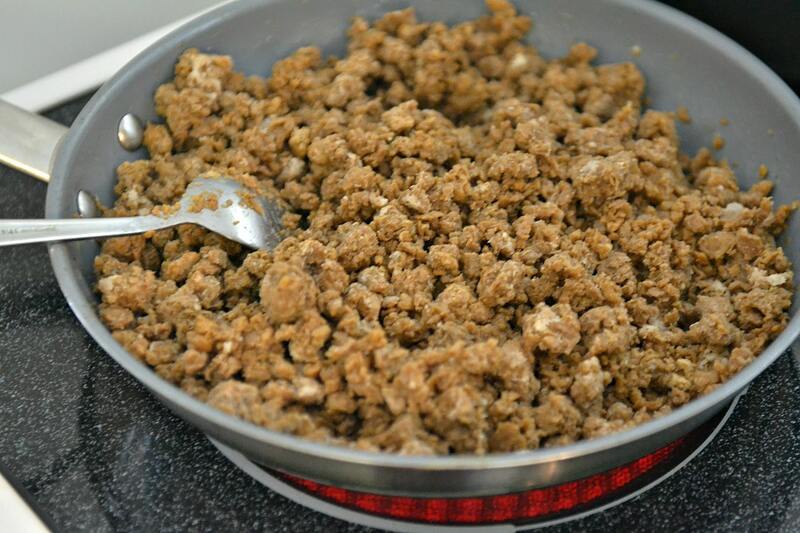 Stir in vegetarian crumbles (or ground beef). Spoon mixture into peppers and divide into 2 freezer bags (Be sure to label bags first). Freeze until needed. On cooking day place peppers in slow cooker coated with cooking spray. 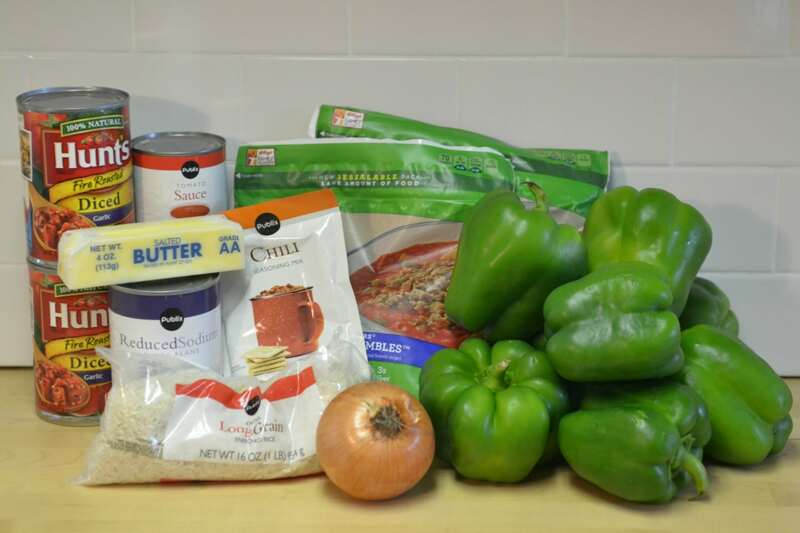 Add an inch of water to bottom of slow cooker or add small can of tomato sauce. 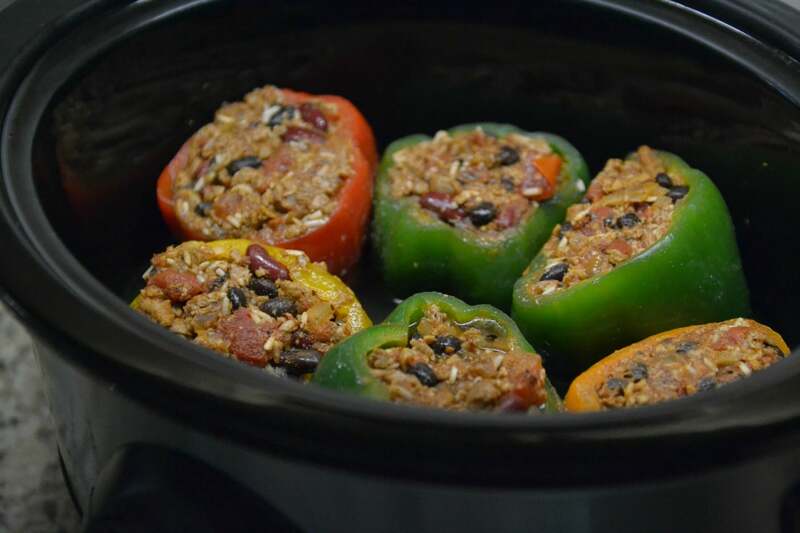 Cook, covered, on low 3-4 hours or until peppers are tender and filling is heated through. 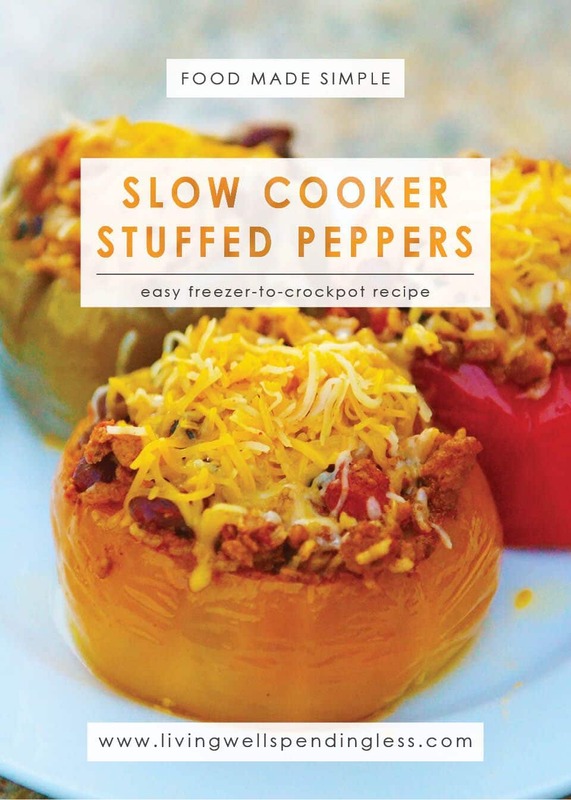 Top stuffed peppers with shredded sharp cheddar cheese and corn muffins. Oven cooking option: cook in oven safe pan covered with foil at 375 for 45-50 minutes. Dear Ruth, You are a blessing! Thank you for everything! I know one day I will be even more involved with you. You are truly amazing! Just a hint – if you want them to be truly low-carb, you need to substitute out both varieties of beans and use black SOY beans only, and instead of rice, use riced cauliflower which is readily available these days in most grocery stores. Otherwise, this is a pretty high-carb meal.